Lynk & Co is a new brand from Geely, the Chinese company that owns the car division of Volvo. Geely is making a major push to acquire Volvo Trucks as well and has just purchased a 9.69% stake in Daimler. It also owns the London Taxi Company. The world is going to hear lots more from Geely Motors even though its business at the moment is confined to China. The company says it will start producing cars at the Volvo manufacturing facility in Belgium with deliveries to European customers beginning in 2020. Lynk & Co’s first model, the 01, will be a virtual clone of the upcoming Volvo XC40. It will be available in hybrid, plug-in hybrid, and battery electric versions. Like Tesla, Lynk & Co will not use traditional dealers. It will sell its cars on line or through what it calls Offline Stores similar to the boutique stores Tesla has made popular. The first store will be in Amsterdam and will be followed by others in Barcelona, Berlin, Brussels and London. Second, the company is pioneering a subscription program that lets people drive one of their cars on a subscription basis. Huh? How does that work? Pretty well, actually. Instead of a traditional lease or cash purchase, the driver subscribes to drive the car for a certain number of months. One payment each month covers the use of the car, insurance, routine maintenance, wear and tear, and roadside assistance. Best of all, it’s a sign and drive arrangement with no money down required. This is a relatively new marketing approach in the industry and one that could appeal to lots of people. Volvo will also offer subscriptions of the XC40 when it goes on sale. Lynk & Co also says a second model, known by the totally uninspired name of 02, will be along shortly. 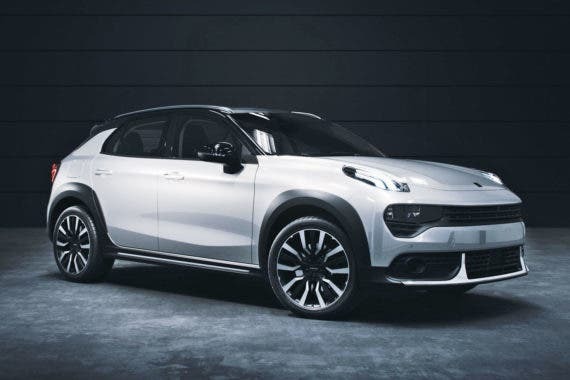 That car is said to be a crossover-style vehicle with a hatchback that will be lower, shorter, and sportier than the 01, according to Engadget. The company isn’t releasing any further details about the 02 but it will probably share its chassis with the 01 and the XC40. One thing Lynk & Co hasn’t said anything about is sales in North America. Engadget points out that Volvo is in the process of building a US factory in Ridgeville, South Carolina that should begin operations this year. The 01 is a Volvo XC40 under the skin. It’s not hard to imagine that some cars bearing the Lynk & Co. badge will be made in that factory in the near future. Ford Motor Company may not be thrilled by the Lynk & Co name, however. When said aloud, it sounds a lot like Lincoln Company. It’s not hard to imagine people being confused by that similarity. How that gets resolves remains to be seen.